Any time a star athlete the caliber of Marcus Mariota moves on, his successor will inevitably be compared to him. It happened to Steve Young when Joe Montana left San Francisco, it happened to Andrew Luck after Peyton Manning left the Colts and it’s happening to Vernon Adams now that Mariota is gone. Many comparisons have been made between Mariota and Adams, but interestingly, beyond the vague similarities about both being athletic quarterbacks, there are few other similarities between the two. 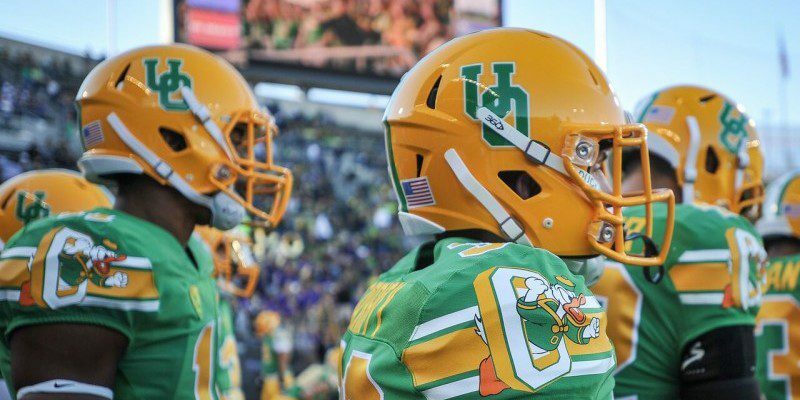 Vernon Adams is prepared to lead the Ducks into battle against his former team. Mariota was always seen as a very calm and collected player, so much so that some NFL scouts even questioned his mental fire pre-draft. Adams on the other hand is nothing but fire as a leader. He talks a lot and knows how to have fun while still doing his job on the field. Mariota and Adams have very different styles. And that really is the bottom line with Adams — with all of his trash talk and defensive back swagger he still competes and leads like a quarterback. Meek points out that while,” … flair was part of what made Adams a cult hero in Cheney … ,” the bigger part was certainly his play on the field, and the way that he gave his all every week for his coach, city, and teammates. 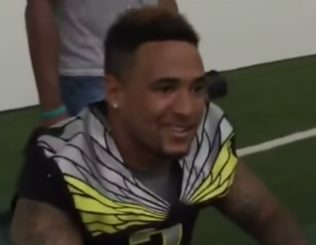 While Vernon Adams and Marcus Mariota are two very different men, they do share a common personality trait — heart. Both players give their all week in and week out — Adams showing it by the way he laughs and trash talks during games and Mariota showing it by being the calm focal point of the team. Both players are natural leaders. Adams’ former teammates and coaches talk about him without a hint of bitterness over his transferring to Oregon, which is perhaps the best evidence of how outstanding a leader he is. Ultimately, time will tell how Adams’ style of leadership works as a Duck, but no one will be able to question whether he will give his all every single game.